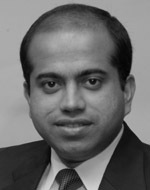 Joyjit Saha Choudhury is an advisor to executives in the health industry for Strategy&, PwC’s strategy consulting business. Based in New York, he is a principal with PwC US. Legislation passed in 2015 is providing powerful incentives for the U.S. healthcare system to pursue value-based care. Medicare’s big announcement on payment models is an inflection point in the transition from volume to value. Two broad themes will have the biggest impact on payors and providers: consumerization and the evolution of risk. Are Health Insurers Ready to Care for New Consumers? As the Affordable Care Act takes effect, health insurance companies will have to design and implement new healthcare models to keep up with the new consumer population. As nations seek to expand services more cost-effectively, the stakeholders who pay the bills and provide the care must collaborate.